Sam Heughan and the poem “In That Year” – My Outlander Blog! Recently, Sam Heughan posted a poem he admired written by Kim Moore. I love that he gives us these little looks into his life. In fact, I felt this little peek was very revealing. There isn’t anything more personal than a poem. And even though we all bring our own thoughts, feelings, and experience to a reading, I felt I could take a pretty good guess at why this particular poem spoke to Sam. 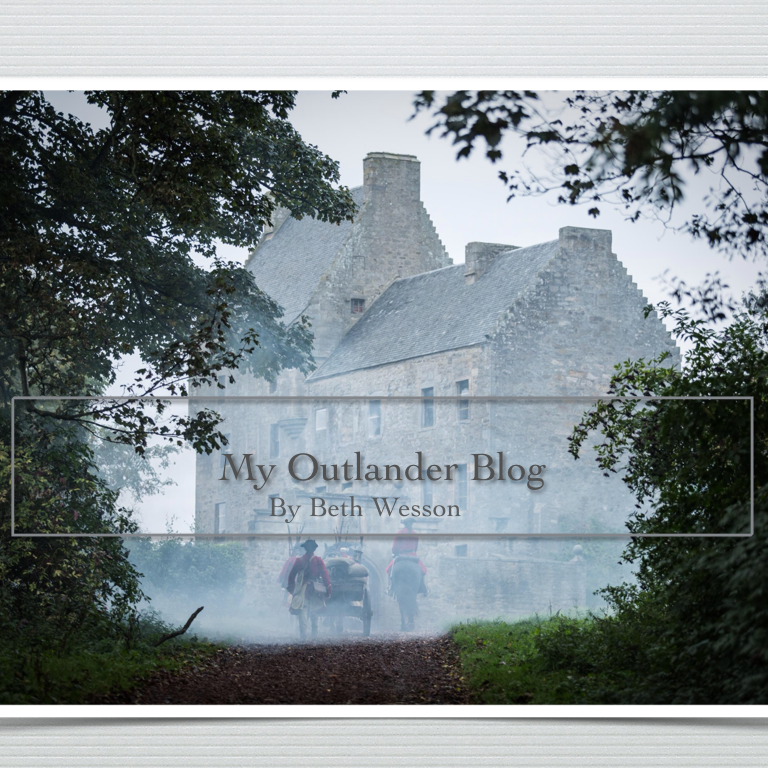 I thought of what his life might have been like before Outlander. I haven’t been chasing after an acting career, but I couldn’t help but relate to the feelings expressed in this poem. I think we have all had a year like this. It takes courage to chase dreams because as the words suggest sometimes it feels like catching your dream is well…just a dream. even his hands could not hold me. Haven’t we all felt as insubstantial as smoke? Haven’t we all felt ourselves to be the illusion of substance? The fire is there, but we feel like smoke. When we chase our dreams we doubt our choices, our abilities. We are strong in our resolve and yet, our security, surety, and sanity feel as if they could be blown away with the slightest breeze even if we have strong and loving people in our lives to help us hold it all together. I thought of the years of struggle chasing a dream like acting would require. How mentally exhausting. Haven’t we all run out of ideas? Haven’t we all tired of trying to figure things out? Haven’t we all experienced not knowing what the next step should be? I wondered what the role of Jamie looked like to an aspiring actor. My guess would be “plenty”. The heart wants what the heart wants. But, sometimes when your dreams seem so far away, your hearts’ desires can seem foolish, rash, futile, ludicrous. Haven’t we all had the experience of becoming so altered and consumed by our dreams that those we know and love hardly recognize us and most certainly don’t understand us. We wait for the moment that our hard work and efforts are sure to bring. We convince ourselves that any moment now our career will take off. At any moment, we will be stampeded with offers and opportunities. So, we wait in the darkness for the horses. Dreamers hope against hope. We believe in the face of doubt. I was promised and left my self to sadness. I, for one, am glad that Sam’s path led him to Outlander and Jamie. I smile when I hear of him landing a new role, filming a new movie,… because the world is coming for him. P.S. 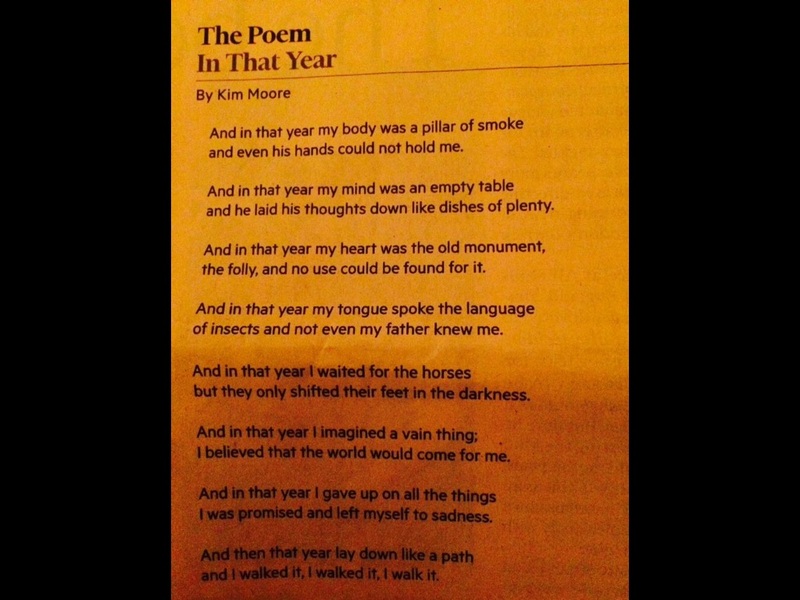 After publishing, I was reading about the poem’s author Kim Moore. This poem was part of a series on domestic violence. Happy Birthday to Our Favorite Sassenach! Thanks for your thoughts on this. When Sam posted this on Twitter, most comments were positive and kind. One stood out, though-that the poem is too angst-filled, reflecting the thoughts of someone in transition, and the commenter was glad to be past all that, implying greater maturity. My heart hurt to see this first because poetry speaks to us in personal ways and it is a risk to share a poem that has moved you. But mostly I was sad for the commenter. To be past all transitions? Are all your dreams dead? Nothing left for you? I am in my 60s but find that life always has transitions, some of my own making and some not. Some are painful but all hold an element of blessing. Without dreams, and changes, we are dead. I somehow missed the poem when Sam posted it. Thank you for bringing it to my attention and for your thoughtful insight. I think I needed to see this today. This poem has me thinking. Is that a good thing? I hope so! Loved reading this poem and your words on the lines. Thank you for posting. When Sam posted this poem my reaction was WOW what incredibly powerful words! Made even more dramatic because of their arrangement. The timeless thing about great writing – transcends the ages and speaks to feelings: Ageless and universal. Being a curious soul I discovered the poem had been published in the NY Times that weekend. 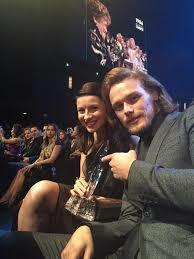 Curiouser and curiouser, I looked up Kim Moore and left her a congratulatory note, but also acknowledged my introduction to her work was because of Sam Heughan’s post. Beth you have yet again ‘word-smithed’ how superb writing (set-design and costume) can transcend and talk to people on an individual level and showed through your comparative response, how it doesn’t matter what work the poem had originally been part of. Thank you for your words and thank you for making me feel safe enough to dip my toes into this cyber world albeit very microscopic! When Sam posted this poem it rather blew my socks off, perhaps in a similar way to first reading Ted Hughes Birthday Letters did! I checked out Kim Moore and availability of her book. Amazon uk had loads but by the next morning having decided to purchase, only one left so I surmised that OL fans had been busy shopping overnight! How great for the author that the simple posting of her poem by Sam had opened up a lot more people to her writing. There are many in the collection that are just great especially as she does not shy away from dark imagery. It then gets better as I found your post so well crafted Beth and articulated much that had been in my mind after reading the poem especially your comparison with the rocky road for young actors. Its such a tough life when you are constantly being knocked back but somehow some manage to survive and as a consequence we end up with great casting as in OL. I retired last year, older and maybe wiser ( I wonder sometimes ! lol) but still moving forwards, around and occasionally back in my life! However the journey is not always easy is it or straightforward, and can be challenging but that path is there to be walked! 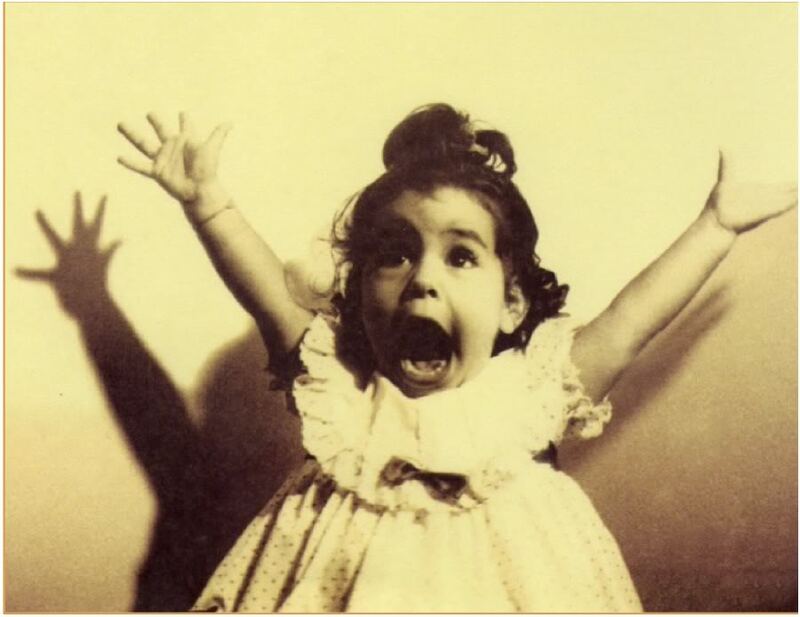 Thank you Beth – Im so enjoying dipping into you blog – including the other one. Thank you taking the time to write such a lovely comment! Do you mind if I share it with the poet? Hello Beth. No please do. I did have a quick silly exchange with her on Twitter about how Sam’s post had boosted her sales – just not enough space for more than that. Loved your analysis of the poem/Samâs years before Outlander. He is so darn talented; guess he had to move to LA in order to get better/more important roles. We donât hear much about British actors unless they do American TV and movies. The US is where itâs at for film and TV!! Such thought provoking work, this poem! Very timely for me, and I really appreciated your thoughts on it as well, Beth. I love anyone who reads and shares poetry, I feel it is such a window into the soul…this was new to me. Thanks to Sam and you for sharing! Still being new to Twitter, I had not read this poem before. I have always thought, though, from seeing Sam in interview, on panels, and performing that he has a deep and serious side. He smiles readily and looks to have the world’s best hugs when someone needs one. He is witty and laughs with ease, but sometimes his answers to interview questions gives us a glimpse into his depth. The way he talks about Scotland and what it means to him to be filming in the country of his birth and bringing its history to life speaks to his appreciation for this opportunity and success beyond that of simply winning a role. That well of sensitivity that would have him post a favorite poem that has meaning for his life is probably what enables him to portray Jamie Fraser so perfectly. I love that Graham McTavish said that Sam “was Jamie” and that the actor embodied all of the positive traits of the character that make us fall in love with him. This success could not have happened to a nicer person. Isn’t it wonderful when things like that happen? So happy for Sam and for us as well.